In the last article, we featured top 10 best noise cancelling headphones that can help you block unwanted sound while listening to your favorite music. If you haven’t read this post, it is time to check it out. You may find something useful that may help you cancel unwanted sound that may be interfering with your music. In today’s article, we have switched our focus to the top 10 best motorcycle speakers. What can be better on the open road, on a great ride sitting at your favourite viewpoint, or cruising on a tour, than taking your personal sound track with you? 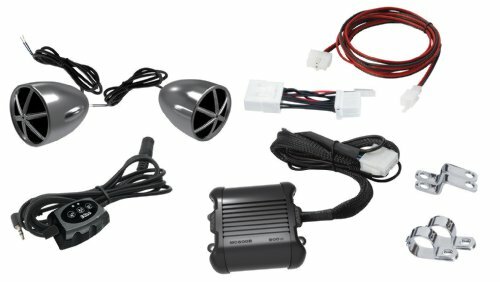 Motorcycle speakers come in various models, with various functions but mostly look very similar in design and that makes it hard to choose the best. For a great ride with great sound you want to choose the best model that gives you superb volume no matter how fast you are riding. We’ve done our research to bring you our list of the top 10 best motorcycle speakers, and a guide on what to look for when purchasing to help you get the right fit for you. The JBL Cruise Bluetooth Handlebar Speakers are quality motorcycle speakers that come with mirror integration brackets for easy installation. They are designed with 100 percent IPX 5 rated waterproof materials. 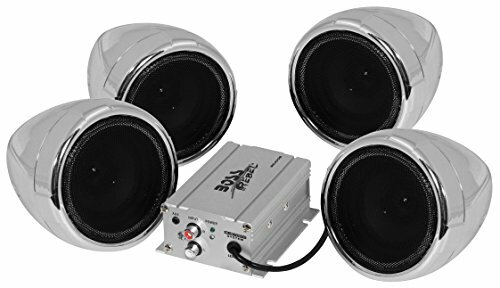 They create 2 x 20 Watts RMS, and connect seamlessly and wirelessly thanks to the built in Bluetooth. . You are guaranteed great volume even when you are riding in noisy condition or at a very high speed. 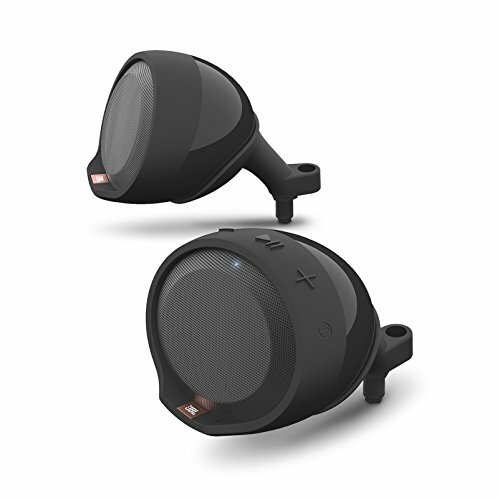 The JBL motorcycle speakers are ideal for small motorcycles. Besides these awesome features, they are also very affordable. This is an Upgraded model of BOSS Audio MC420B. With dimensions of 4 inches by 4.5 inches by 4 inches, this motorcycle speaker model is perfect if you want to fix it on your motorcycle handlebar. The model is also waterproof which means that all external and internal components have been sealed to protect them against rain damage or rust. They offer great options when it comes to audio input. The model is also Bluetooth enabled which means you can pair it up with another stereo system or headphones. If you want a speaker that produces louder and clear sound, then this model is unavoidable. BOSS Audio MC420B is another good choice if you are looking for a motorcycle speaker. They also feature a fully waterproof body, making them ideal for use even when it is raining heavily. Besides a waterproof body, the model also comes with water resistant volume control. They also come with easy to install stainless steel brackets that you can adjust to any angle. They have an amplifier wattage of up to 600, preferably good speakers for use under all sorts of noise conditions. Some users say that BOSS Audio MC420B motorcycle model work well for long without heating. 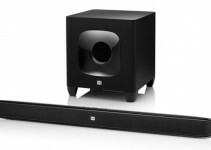 Overall, these are high-quality speakers if you want to with their good performance. 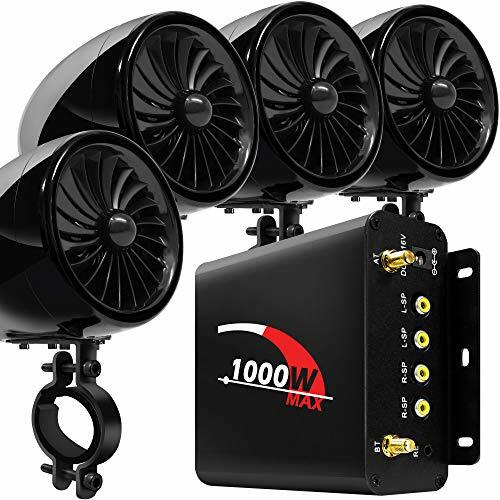 GoldenHawk 1000W 4 Channel Motorcycle Speakers are perfect sets of motorcycle speakers that come with waterproof components, and connect seamlessly to your compatible Bluetooth devices. This 1000-watt motorcycle speaker model features both a wired control console and a wireless remote control. In terms of features, it comes with an LCD display an FM frequency display and built in Bluetooth. In terms of connectivity, there is USB, AUX, and SD inputs. 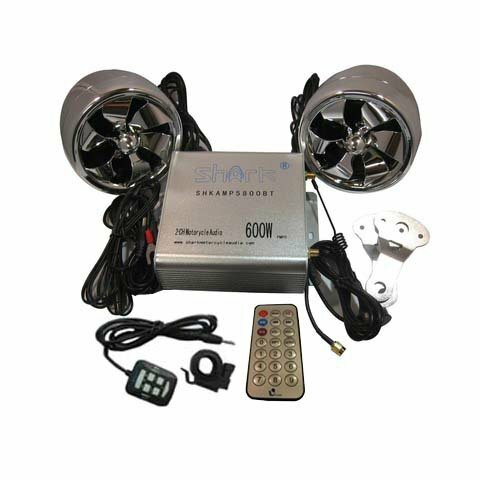 This GoldenHawk motorcycle speaker set comes with 4 speakers, 4 channels and 4 Amps to bring you 1000 Watts of powerful sound. BOSS AUDIO MC400 are two pairs of Chrome 3-inch full range speakers that come with weather proof components. It features up to 600 Watt Amplifier allowing you to listen to your favorite music clearly at any volume. A wired remote is included in the package making it easy for you to control volume remotely without. You don’t need a stereo system to listen to your favorite music while riding a motorcycle. These speakers are designed with 3.5 mm Aux Input, which is compatible with MP3 Players and Smartphones. You can connect to most mobile devices and enjoy good music all day. 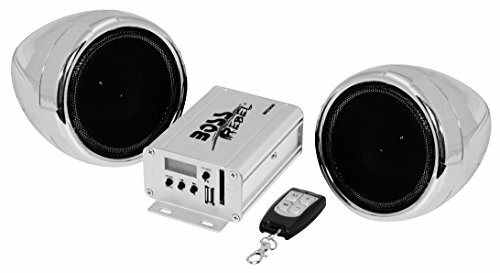 BOSS AUDIO MC600B Chrome System also falls under the class of waterproof motorcycle speakers. No matter whether it is raining or not, you can comfortably use these two pairs of speakers without worrying about damage or rust. They feature and adjustable mounting brackets and up to 800 Watt Max Amplifier fully controlled by multi-function remote. The speakers and amplifier produce a clear and louder sound even when there is noise disturbance. They are enabled with Bluetooth Audio Streaming feature making it easier for you to listen to your favorite song wirelessly. This motorcycle speaker model comes with a mini Amplifier of up to 12 Voltage. They are ideal for mounting on Scooters, Boat, motorcycles, snowmobile, ATV or Waverunner. 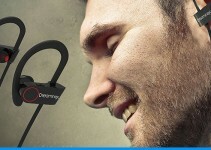 They also come with a waterproof body, allowing you to listen to your favorite music when it is raining. With an RCA Stereo Input Jack, you can easily connect it to the output of a wide variety of devices such as CD, Mp3, MD, IPod and many more. It features a broad variety of control features such as POWER Switch and Indicator, Volume Control and Mute Function. This motorcycle speaker features A2DP Bluetooth Wireless Stereo System. If you like racing, biking or cycling at a maximum speed, this is the perfect model that allows you to listen to your favorite music wirelessly. They include 100 Mph wireless remote which you can use to control the speakers from your mobile device in a range of up to 10 feet. The model is waterproof, suitable for use in all weather conditions. Its built-in Amplifier offers up to 800 watts power allowing you to listen to your music loud and clear no matter the speed at which you are riding. BOSS AUDIO MC500 Motorcycle Speakers also falls under this list of top 10 best motorcycle speakers. These speakers are enabled with Bluetooth technology, enabling you to pair it with your mobile phone or Bluetooth enable headphones. 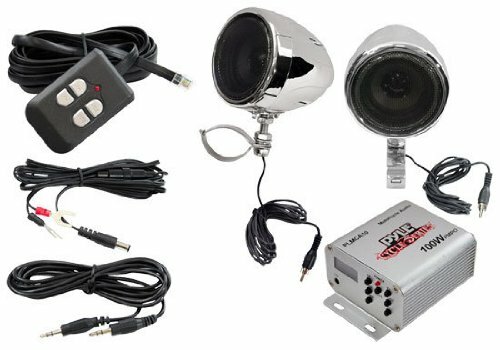 They feature two pairs of weatherproof Chrome 3&quot; Full Range Speakers, a Maximum Amplifier of up to 600 watts and Wireless Keychain Remote. With these features, you are guaranteed louder, clear and smoother volume even when you are riding in noisy condition or at a very high speed. 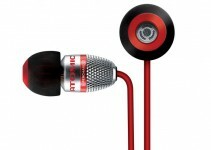 They also feature a 3.5 mm Aux Input, which is compatible with MP3 Players and Smartphones. The Shark SHKAMP5800BT6800 Motorcycle Speakers ranks number last in this list of top 10 best motorcycle speakers. However, this system has all that you are looking for in a motorcycle speaker. They are Bluetooth enabled allowing you to connect to any of your devices including mp3 player, GPS, Smartphone wirelessly. The model also features a clear FM reception, a waterproof antenna for FM, USB slot and SD Slot input. It also features a big LCD screen that shows FM radio full function and song Function. From a happier mindset to maintaining good focus, there are many reasons why you should lose yourself in a good tune and invest in a quality set of the best motorcycle speakers. Music can take you back in time, relieve anxiety, and improve your performance. When riding, listening to music adds to both the atmosphere and the fun. There are notable shortcomings in listening to music on a bike, however, because of the wind and noise. Having to keep your helmet on for safety impairs your hearing capacity, but that can be overcome. There are speakers that pair with Bluetooth headsets, speakers that give you the bass notes you desire when parked, and those that power through the noise of the wind, road and weather alike. Why Buy The Best Motorcycle Speaker? There are a number of options in listening to music while riding. So, why should you choose the best motorcycle speakers? Listening to traffic sounds keeps you aware of the surroundings. You can easily tell when a massive truck or a small car is about to overtake. Also, you will hear sirens from afar and pave the way. With headphones or earphones on, loud music might impair you from make the right judgement call when you need to. If you want to enjoy music while riding, motorcycle speakers might be the best option as far as your safety is concerned. If you are using headphones, chances are you will set the volume high for quality sounds. This increases the risk of hearing loss. According to scientific research, hearing damage starts at 85 decibels. Many media players hit the number with the volume set at 75%. 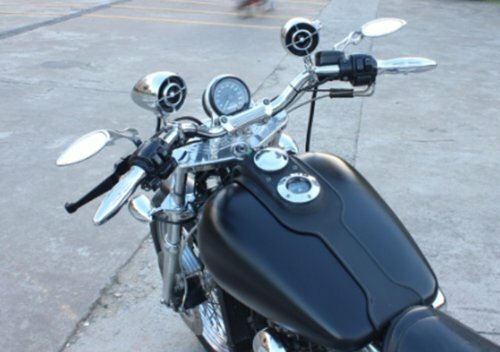 With motorcycle speakers, the sound is mostly dissipated to the environment, with less impact to your ears. Thus, your risk for hearing loss is reduced compared to loud enclosed music from headphones. Better riding boils down to focus. Like training in the gym, running or working a long shift, many people turn to music because it helps them focus, gives them an edge or helps them to concentrate. It’s no different on the road. There are helmet speakers, handlebar speakers, and Bluetooth speakers. Your personal preferences should be your guide in making a choice. However, handlebar speakers give a better experience. Many of them come with easy installation and functionality, but there are some that come with an amp, some that will plug into your existing amp. There are some that pair with a Bluetooth headset, and some that come with wireless controls. You want to get the speaker that suits your bike, fits well and has the functions that you prefer. You need to know the dimensions of your handlebars, chassis, and the rating of your battery before you buy. You might not need this info, but it’s better to be prepared to avoid disappointment. There is nothing worse than getting exited for your parcel to arrive only to open it, start installing and realising its not compatible. In most cases it’s not just the speakers that need installed but you need to make sure there is a safe place to secure the amp too. The wattage can be used to determine the strength of the speakers. The higher the wattage, the better the sound quality. If you are living in a quiet town, lower wattage speakers will do just fine. Riders who cruise through open spaces and highways will be more suited to high wattage motorcycle speakers. Consider the available methods in connecting the speakers to the music source. Some have head units as the primary input. You may insert an SD card or use a USB cable to connect to your phone, iPod, or MP3 player. If possible, choose the speakers which come with additional features. It is these features that will give youa better experiences on the road. Check out for docking stations, Bluetooth options, and thumb controls. A docking station will hold the devices (phones, MP3 player, etc.) while they are charging. Thumb control ensures you don’t lose focus while selecting music, and the Bluetooth option saves you the hassle of handling extra wiring to connect the device to the speaker. Unlike in a car, motorcycle speakers are exposed to weather elements. Dirt, debris, sun, and water can damage the speakers. When shopping for a motorcycle speaker, pick one that is completely weather-resistant. Every manufacturer claims to have the best product in the market, but you can only determine the accuracy of the claim by experiencing it. Checking the opinions of the experts is an alternative. The feedback is usually subjective though. People who listen to hip-hop and rap will not choose the same speakers as those who love listening to jazz. Consider the thickness and overall size of the speaker. Choose the speaker that will not look funny on your bike, due to a disproportionate appearance. Also, make sure it will not affect your ability to ride the bike comfortably. The diameter and depth of the speaker will have a direct effect on the frequency range, and the sound quality.